The Restwell Nevada Dual Motor Riser Recliner Chair allows you to operate the legrest and backrest independently. It features an Anti-Microbial PVC Fabric that is easy to wipe clean. The Nevada Rise & Recline Armchair features a dual mechanism allowing you to operate and move the legrest and backrest independently. 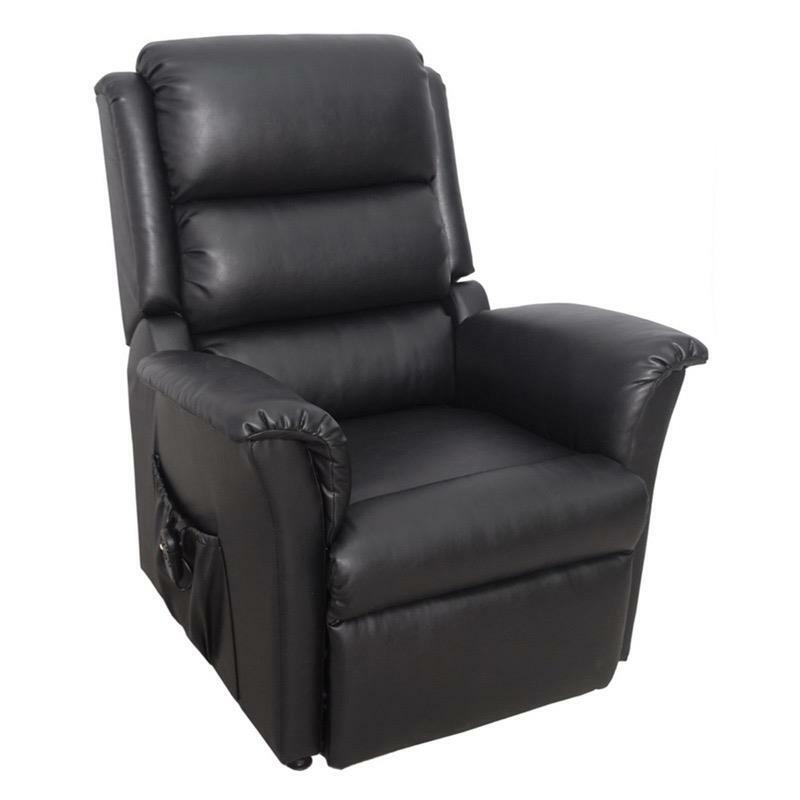 This provides countless recline options, helping you find the most comfortable position. It also features an Anti-Microbial PVC Fabric that helps reduce build up of harmful bacteria such as MRSA and is easy to wipe clean. This model has been Crib 5 tested for fire retardancy so is suitable for use in Nursing, Care and Residential Homes. The Nevada riser recliner chair allows you to relax with ease at the touch of a button, alternatively it will gently lift you into a standing position. It is available in two colours - Black and Cobblestone.